CALIFORNIA–(ENEWSPF)–October 25, 2016. 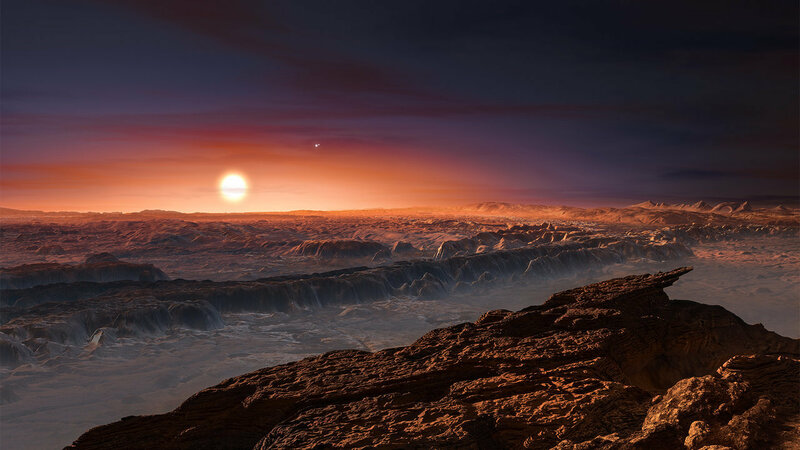 A rocky extrasolar planet with a mass similar to Earth’s was recently detected around Proxima Centauri, the nearest star to our sun. This planet, called Proxima b, is in an orbit that would allow it to have liquid water on its surface, thus raising the question of its habitability. In a study to be published in The Astrophysical Journal Letters, an international team led by researchers at the Marseille Astrophysics Laboratory (CNRS/Aix-Marseille Université) has determined the planet’s dimensions and properties of its surface, which actually favor its habitability.The team says Proxima b could be an “ocean planet,” with an ocean covering its entire surface, the water perhaps similar to that of subsurface oceans detected inside icy moons around Jupiter and Saturn. The researchers also show that Proxima b’s composition might resemble Mercury’s, with a metal core making up two-thirds of the mass of the planet. These results provide the basis for future studies to determine the habitability of Proxima b. There is another way to estimate the radius of a planet. If we know its mass, we can simulate the behavior of the constituent materials. This is the method used by a French-American team of researchers from the Marseille Astrophysics Laboratory (CNRS/Aix-Marseille University) and the Department of Astronomy at Cornell University. With the help of a model of internal structure, they explored the different compositions that could be associated with Proxima b and deduced the corresponding values for the radius of the planet. They restricted their study to the case of potentially habitable planets, simulating dense and solid planets, formed with the metallic core and rocky mantle found in terrestrial planets in our solar system. They also allowed the incorporation of a large mass of water in their composition.